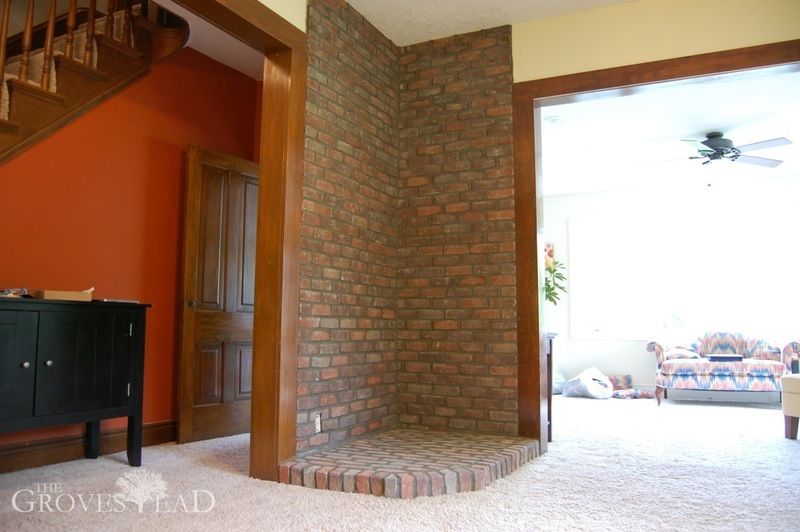 Among the most sought-after but always elusive features of the homes we have lived in is a fireplace. 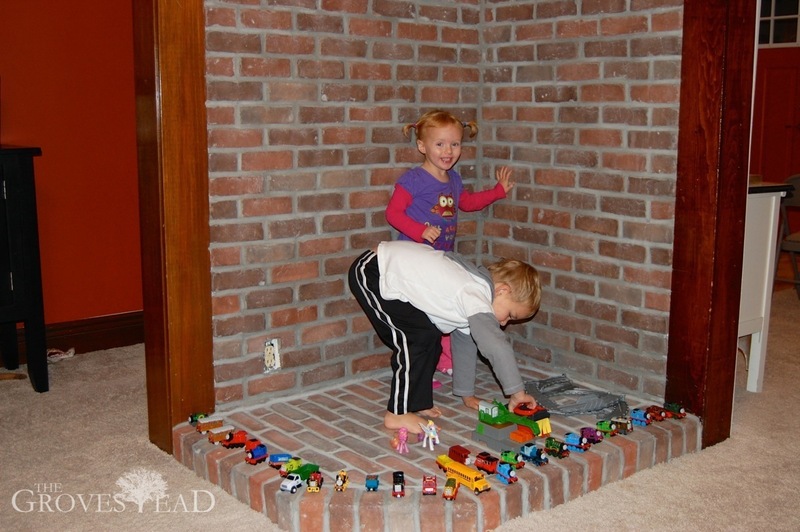 One of my favorite childhood memories was warming up feet-first next to the fireplace in our family room on a cold winter night. Becca and I have moved many times, but never to a home with a fireplace. I always lamented that. This trend continued when we moved to our house in the country where the previous owners had knocked down the 19th-century fireplace and hearth a few years prior to our arrival. If they only knew! Needless to say, one of our most anticipated upgrades was the installation of our own wood-burning stove. Living on three acres of woodland we knew that a fireplace was in the cards. 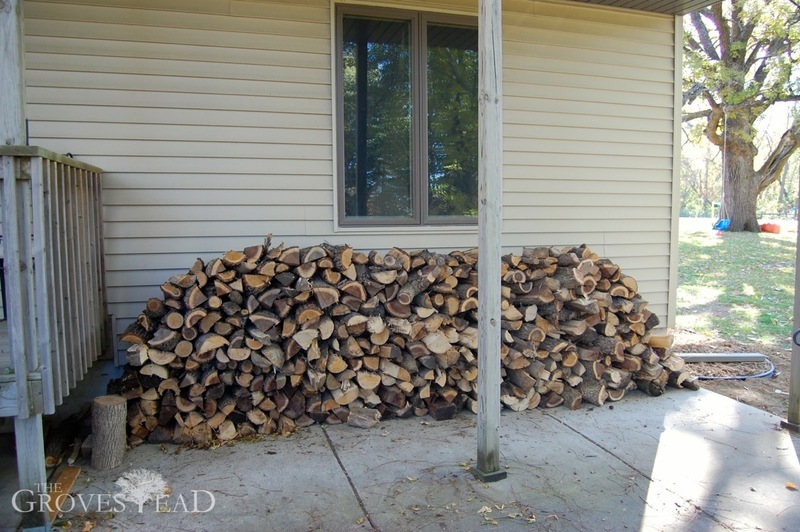 Clearing out the deadwood alone would be enough to heat our house for several years. 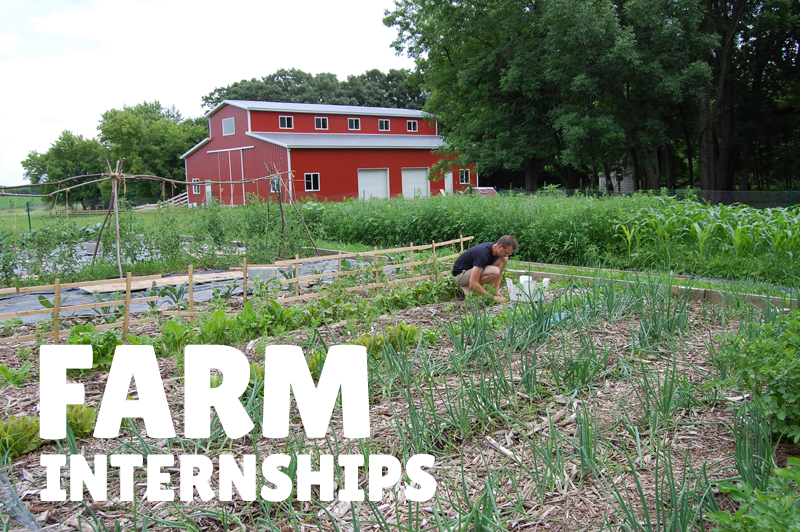 We looked half-heartedly the first year but never settled on exactly what we wanted. But last winter, with historic cold and propane shortages, we paid literally thousands of dollars to heat our home. That sealed the deal. We found an installer and got to work. It took most of the summer for all the pieces to come together, but it finally did and not a day too soon. 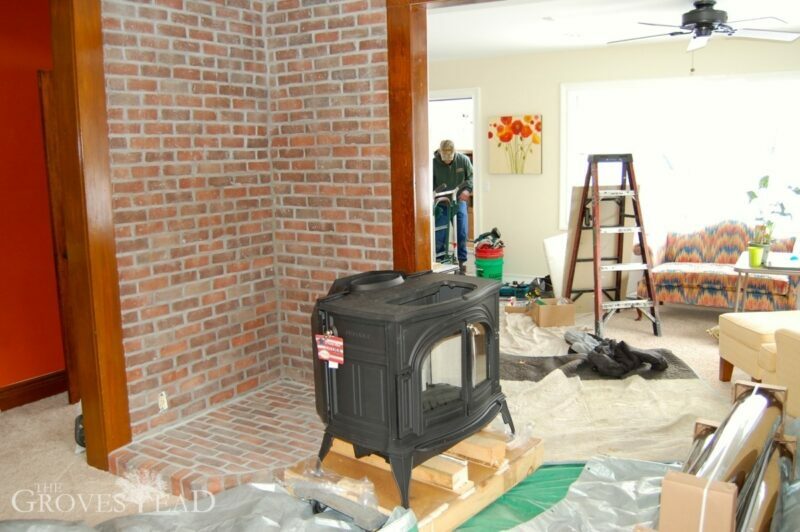 The hearth is comprised of Old World-style tumbled brick. Our kids found it a fitting play stage. After a long delay, our new wood stove finally arrived! 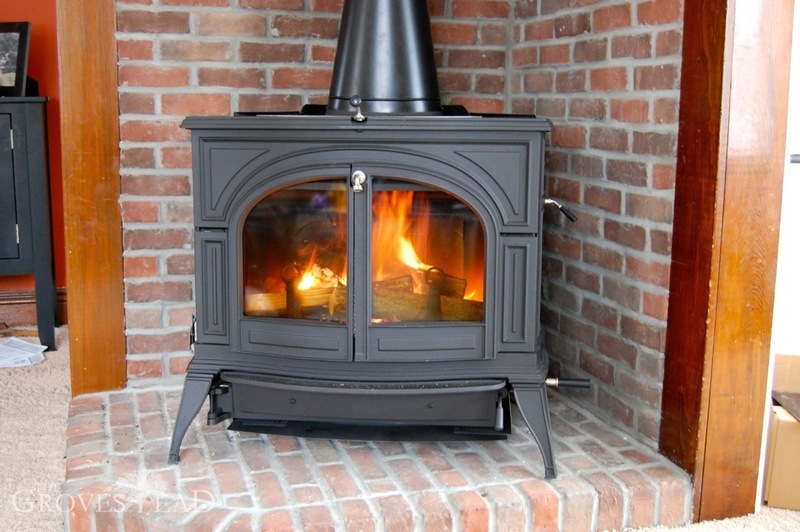 Wood stoves are far more efficient than open fireplaces. 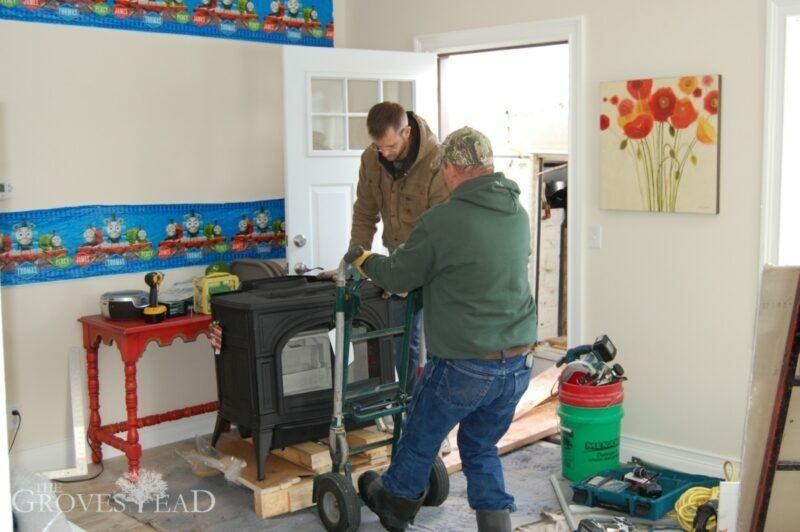 Since we wanted to augment or replace our furnace heating, we needed to maximize heat output. We went with a Vermont Castings Defiant model. It has a huge firebox capable of putting out 75,000 btu’s per hour. It also has a cookplate surface so it could double as a cookstove in an emergency. 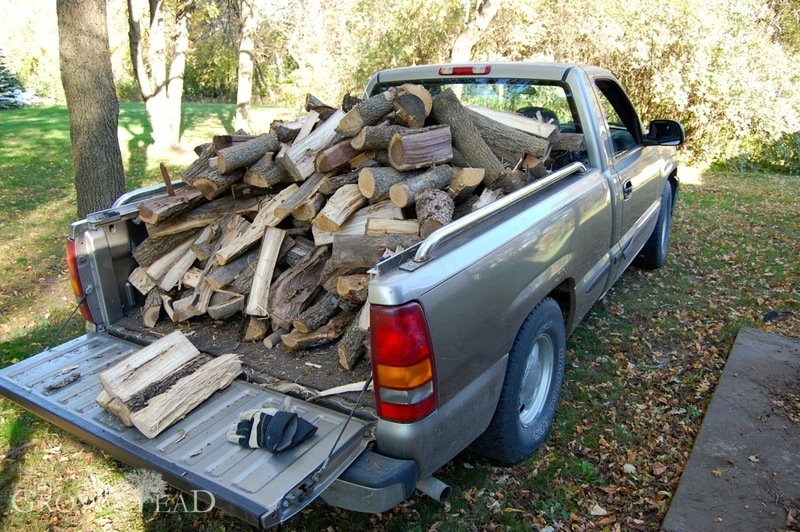 While waiting for the stove to arrive this Fall, I got to work splitting wood we had already cut and set aside to dry. 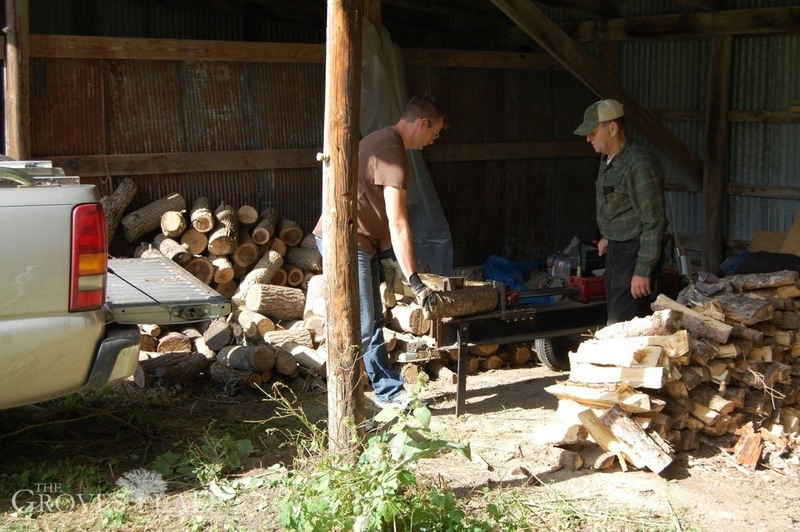 Initially, I roped one of my neighbors into bringing his hydraulic wood splitter over and making quick work of the wood pile. 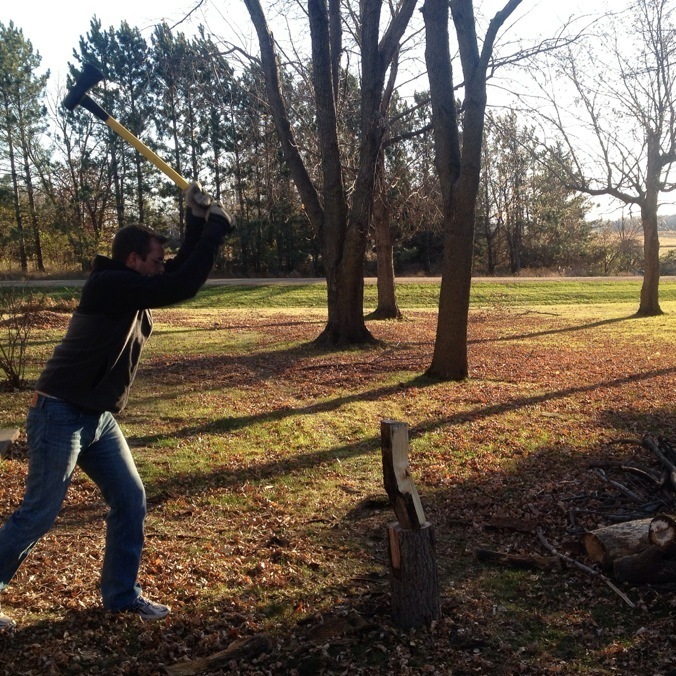 But then I discovered how much fun it is to split wood by hand. No, really! 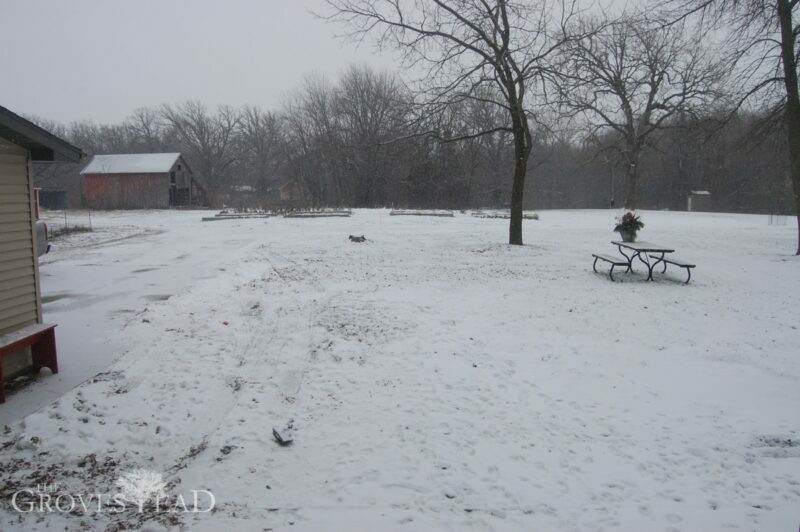 Soon after the stove was installed the snow started falling. We started a fire and turned off the furnace. Every day since we’ve had a radiant fire and a warm house. 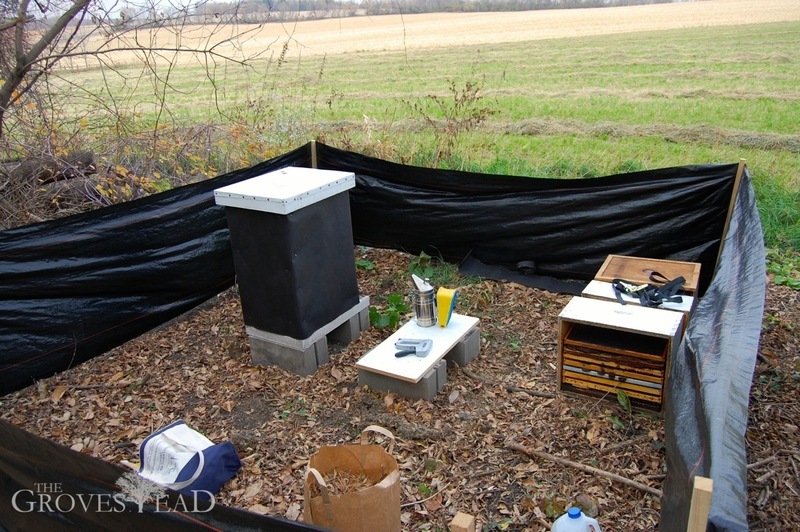 A chore that has been hanging over our heads for a long time was winterizing the bees. 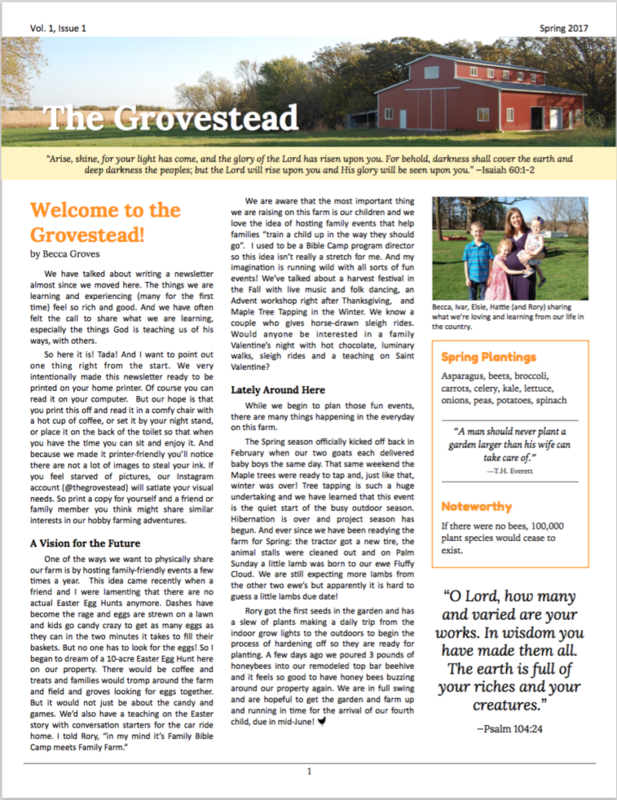 After last year’s historic cold temperatures, and losing one hive to colony collapse, we wanted to make sure we did this right. But the more we researched, the more confused we became. I read somewhere that if you ask 3 beekeepers a question you’ll get 6 answers. 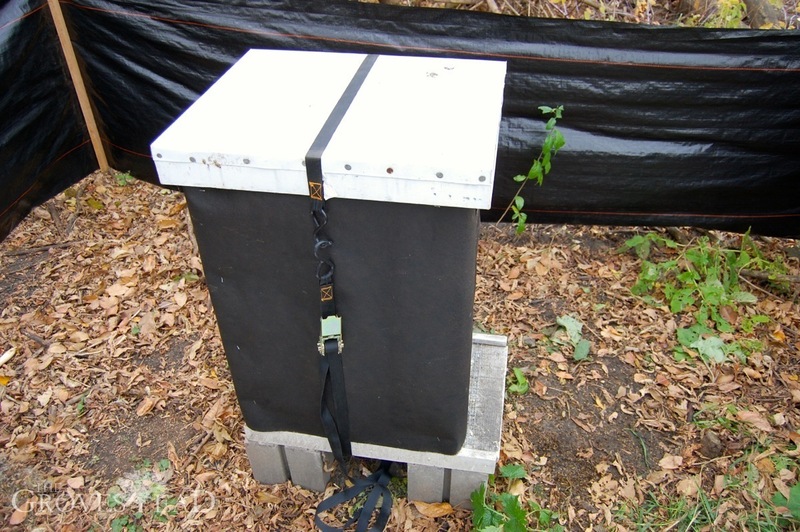 That has certainly been the case with winterizing beehives. Some recommended buying special insulating boxes and moisture-absorbing lids. Others used whatever materials they had laying around. Assimilating all this information I came up with a basic plan that falls under the “did our best” category. First I inspect the hive to make sure bees were still there! They were clustering deep inside, which is good. There was plenty of honey on the frames for them to consume this winter. 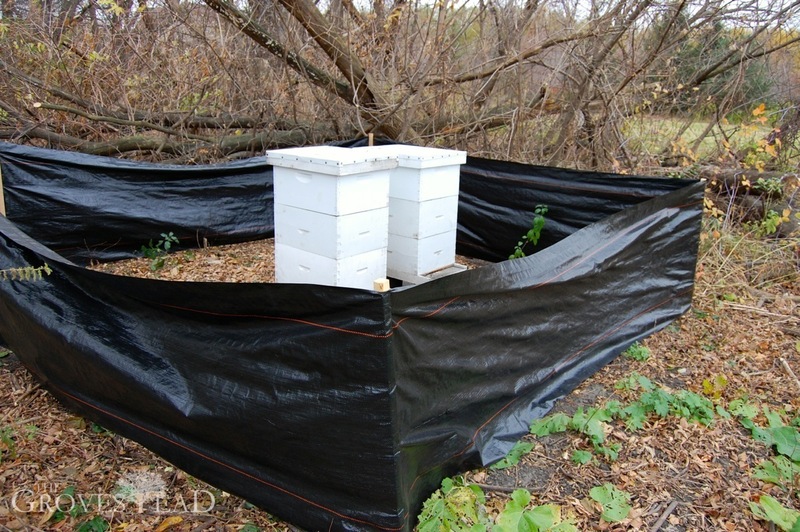 After checking in with the bees, I wrapped the vicinity of the hives with a silt fence. If it looks like a hasty job, well, I dare you to go hammer giant stakes in the ground a few feet away from 30,000 bees. The fence will serve as a snow and wind break, although it should be about twice as high to block the wind. It should help with drifting snow at least. Then I wrapped the hive boxes themselves in tar paper. This adds a layer of insulation as well as capturing more heat on sunny days. 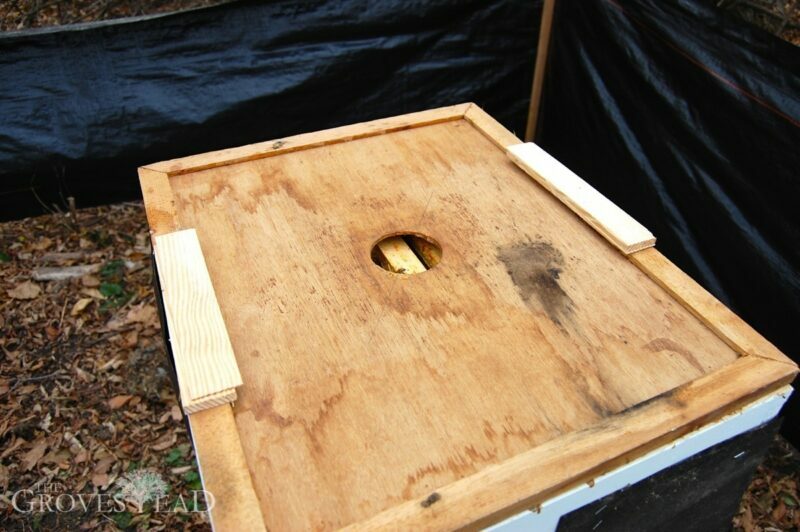 Bees need an occasional warm-up to reposition themselves inside the hives to honey stores. Next I drilled a hole in the top box for ventilation and a second exit point. Generally, this should be done before bees are living inside. Had it not been such a cold day, I would have been dealing with a swarm of angry bees. An interesting thing I learned about bees is that the cold doesn’t kill them, moisture does. 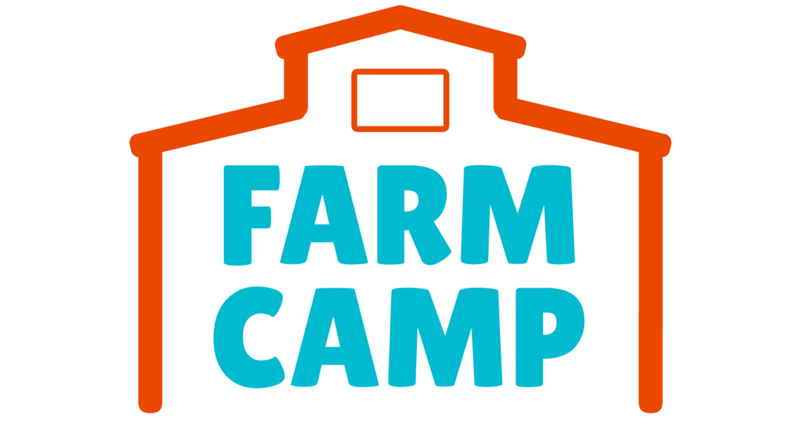 In the process of consuming honey and keeping themselves warm through the winter, an average hive will evaporate 1 gallon of water. 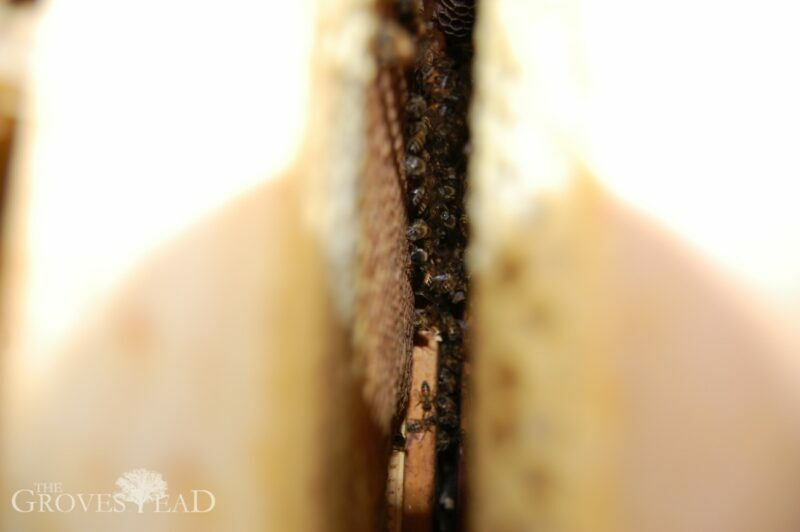 If the hive is not adequately ventilated, that water will condense and drip back into the hive, harming the bees. 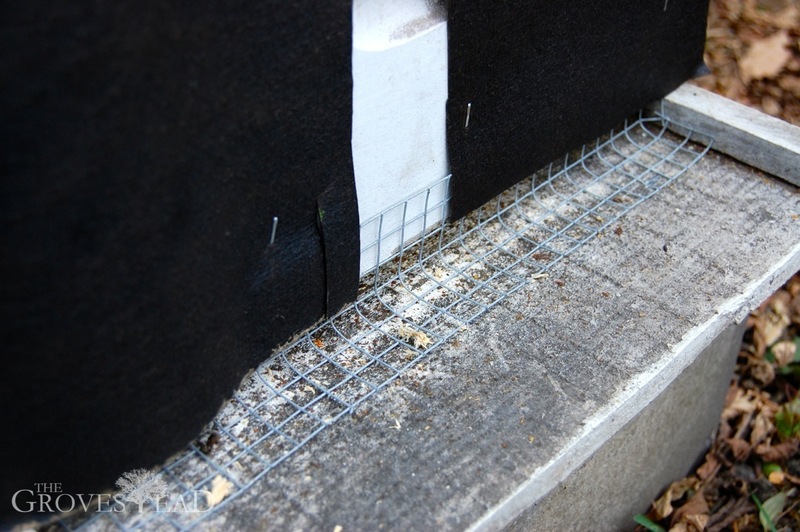 Next, a piece of wire mesh / hardware cloth was placed over the entrance to keep mice out. On the top of the hive I added spacers to keep the lid from sealing on the top completely. 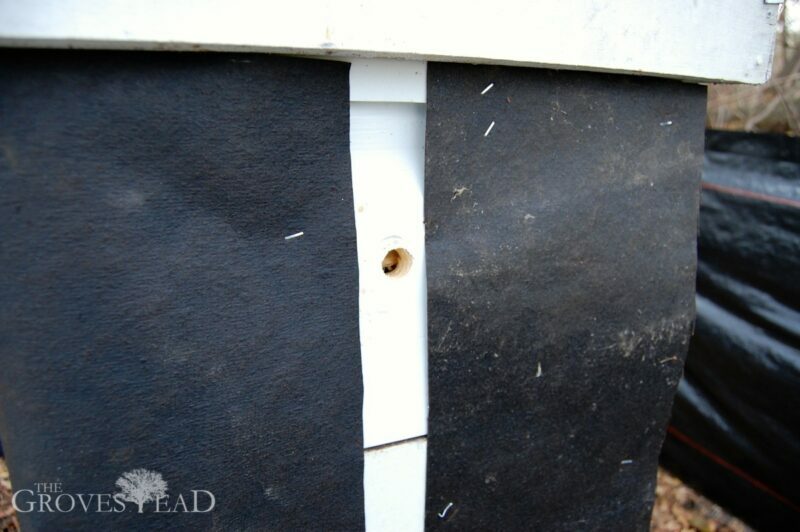 This creates another entrance/exit point for both bees and moisture. I still plan to add a moisture board under the lid, but the hardware store only sells them in 4 x 8-foot sheets, so I’m gathering up newspapers to use instead. Finally, I strapped the lid on with a tie down. This adds extra stability for strong winter winds. For some beekeepers, this is how they keep the bears out. Since we’re down to just one hive now, I cleaned out the other hive and stored it for use next year. Inside the feeder bin where we added sugar water at the beginning of the season, the bees had cleared out all the sugar water and left a beautiful honeycomb in its place (sans the honey). 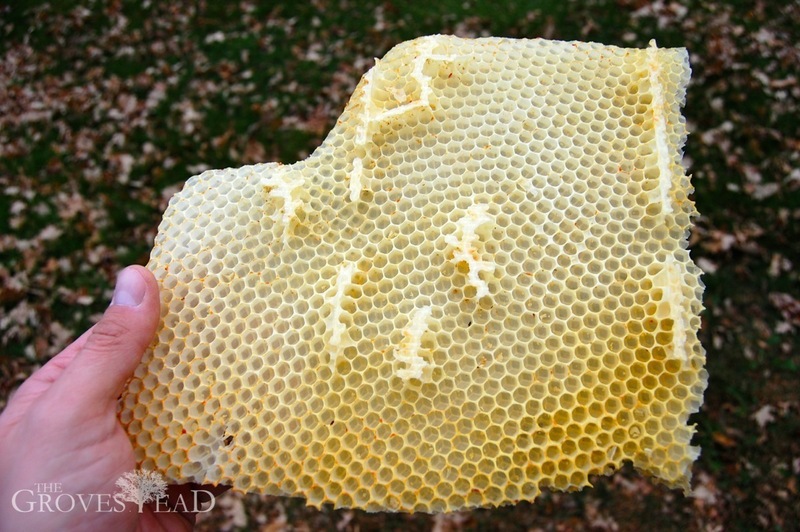 A parting gift from our bees who didn’t make it.